Lab Manager Magazine recently compiled the top 6 questions you should ask when buying a homogenizer. How does this homogenizer differ from the competition? What makes it superior in quality and cost effective for the scientist? When it comes to homogenizing, the precision lies in the generator probe, the component that actually comes into contact with your sample. No other homogenizer manufacturer puts as much research and quality into their generator probes as PRO Scientific does and this is what sets us apart from our competition. What accessories are necessary to run the unit? To begin homogenizing all you need is a homogenizer and a generator probe. With PRO homogenizers, there are no special tubes or beads to have to invest in or to continue to buy. 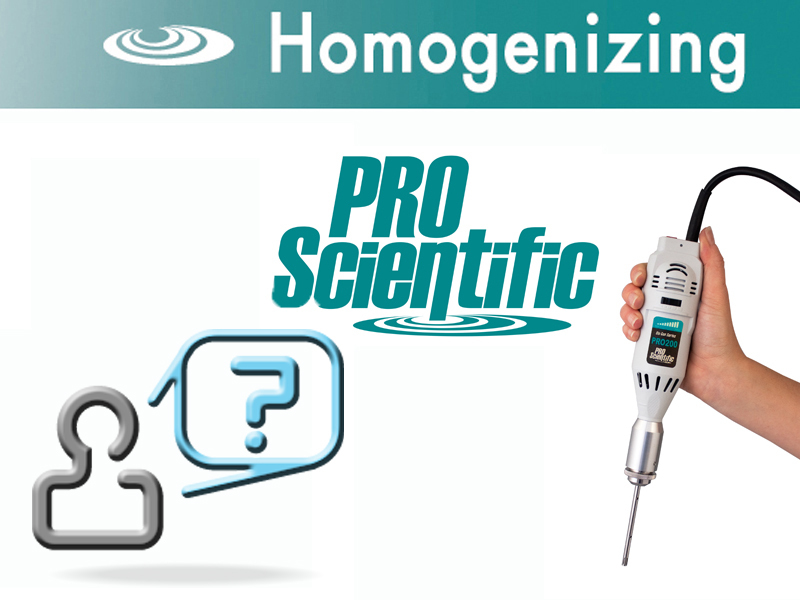 PRO Scientific is the only manufacturer that takes the guess work out of picking a homogenizing package. We have twelve economical homogenizing packages that have been pre-selected to assist in this process and provide you with everything you need to begin homogenizing. Does the company offer demo units for the scientist to test out? Does the company offer application and technical phone support before / after the product purchase? Absolutely! From sub-cellular analysis to high volume applications, PRO Scientific homogenizers have been the industry leader for over two decades. We have an extensive application database and our application specialists are happy to work with you in regards to custom applications. Furthermore, we know our job doesn't end once the product is shipped out. We want to make sure our product suits your needs and if it doesn't we are happy to work with you in adjusting your application or adjusting your equipment needs. In the rare occurrence that something goes wrong with your equipment if it even it needs a little tune-up, we have fully-trained service technicians to work with you to get your equipment back up and running like new. Ask about replacements in case the product parts break down with use. With proper maintenance your homogenizing equipment can last ten plus years! Finally, ask about the cost of the purchase, installation charges and warranty extension costs. 1 “Are you in the market for a…Homogenizer?” Lab Manager 9.3 (2014): 75. Print.